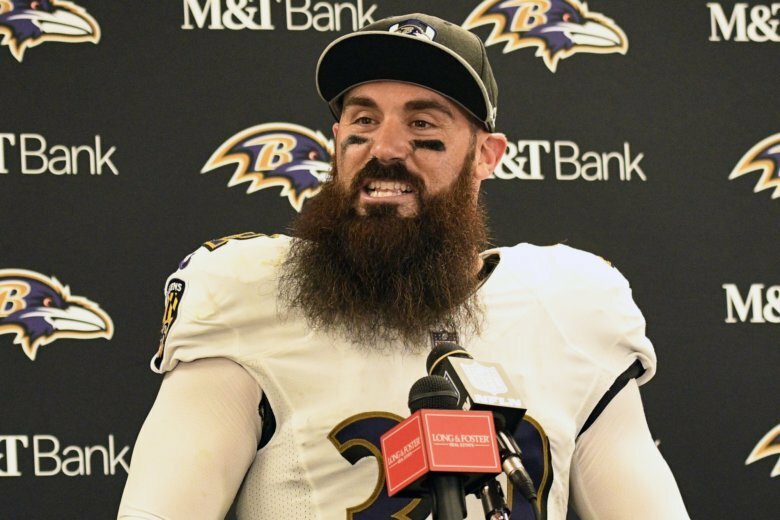 Weddle talks a good game, but it appears as if the Pro Bowl free safety is hiding his true feelings in much the same way the Ravens’ top-ranked defense disguises a blitz. Truth is, Weddle couldn’t wait to get out of San Diego after a 2015 season in which the Chargers fined him $10,000 for watching his daughter perform at halftime of a game; kept him on the sideline with an injury he insisted was not serious; and barred him from flying with the team for the season finale. This will be the first time since Weddle left for Baltimore that he will face his former team. Regardless of his win-one-for-the-team attitude, those around him know how much this game means to him. Weddle was selected to three Pro Bowls in San Diego and has made the Pro Bowl three times in three years with the Ravens. Although he has knocked away only three passes this season and does not have an interception, his savvy and leadership make the 33-year-old one of the best in the NFL as the last line of defense. “He’s the quarterback of the back end,” defensive coordinator Don Martindale said. Weddle remains close friends with Rivers, his former teammate. Back in the day, the two would compare notes after practice in an effort to improve both the offense and defense. They continue to communicate, and kept the banter going this week. Rivers feels much the same way. They’ll be matching wits on Saturday night in a big game for both teams. Baltimore (8-6) remains in contention for the AFC North title and a wild-card spot, while the Chargers (11-3) are in the running to finish with the best record in the AFC, which comes with home=field advantage up to the Super Bowl. Now, he claims, there are no residual hard feelings.